The more I learnt about Tartini, the more I became engrossed in his life and musical achievements. As with Vivaldi, there’s just too much to share to do him justice in one post. There’s a lot more to this iconic Italian master than his exceptional ‘Devil’s Trill’ sonata; however that incredible work is the main focus for part 1. If the violin is the so called ‘Devil’s Instrument’, then Guiseppe Tartini (8th April 1692 – 26 February 1770) is most definitely his composer of choice! 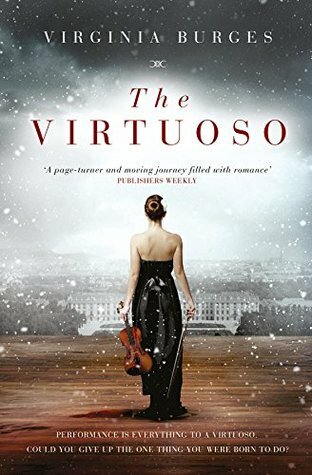 I think Paganini would have given him a run for his money on the fingerboard, but so far in my investigations into the great virtuoso violinists who were also composers, I feel that Tartini, more than the others, embodied the most evenly balanced skills in both composing and virtuoso performance. Vivaldi, Viotti and Corelli I think leaned more towards composition, whilst Paganini, although highly talented in both, played with such virtuosity that his reputation as the ‘Devil’s Violinist’ will forever remain the stuff of legend. 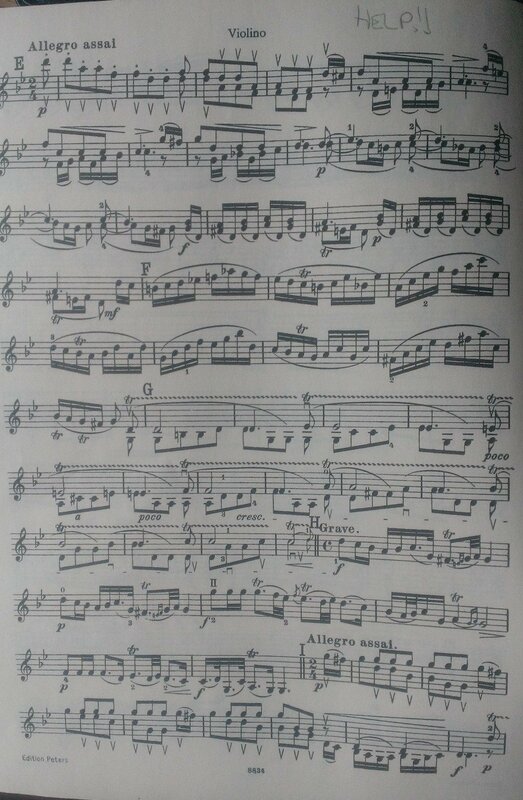 Tartini however, would prove to be Lucifer’s student extraordinaire, as his most popular Violin Sonata, aptly named ‘The Devil’s Trill’, proves to this day to be one of the most wickedly sublime sonatas ever written for the instrument. Tartini left the world a vast heritage of music. As a result of his study, hard work, and imagination his quill penned no fewer than 350 works, most of which were written for the violin. Like Corelli and unlike Vivaldi, Tartini composed almost exclusively instrumental music, criticising composers of both vocal and instrumental music. Tartini’s influence reached beyond his contemporaries: Vivaldi, Laurenti and Boccherini across nations to what historians have discovered as traces of his style in the works of the young W.A. Mozart. Leopold Mozart recognised his genius by referring to Tartini as “one of the most splendid violinists of our time,” in citations that appeared regularly in the pages of his School for the Violin (1756). 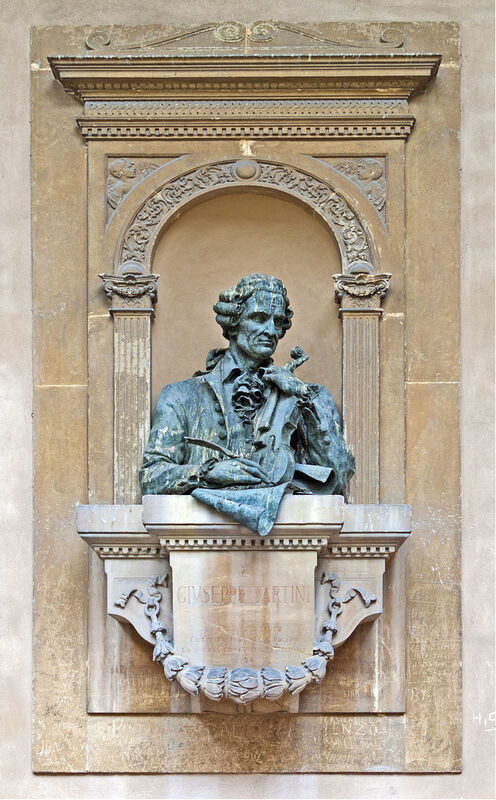 Tartini himself it seems was a creative and sensitive soul with an inquiring mind, who was committed to mastering the technical aspects of the violin as well as finding the peak of his artistic taste and individuality. He was greatly was influenced by a fellow virtuoso violinist from Florence, Francesco Maria Veracini (1690 – 1768), who had performed in London, Dresden, Poland and what is now the Czech Republic for Count Kinsky. It is thought the two met in 1716 in Venice at the festivities in honour of the Crown Prince of Saxony. Tartini was attracted to the romantic colouring of Veracini’s sonatas and was impressed by his manner of playing, which was bold and vivid, with a smooth-flowing tone and an easy mastery of bow and finger techniques, including the trill. Tartini assimilated the skill and style of his eminent compatriot over the years that followed as he busied himself in seclusion in Ancona. Not all of Tartini’s work has been published, but most of his original manuscripts can be found in the music archives of the chapel of St. Anthony in Padua. 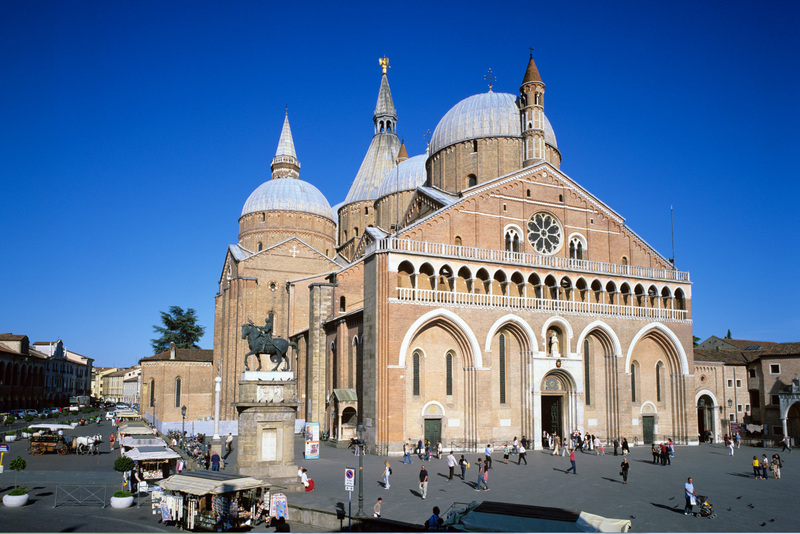 How I wish I’d known that when I visited Padua in my early twenties! There are probably more autographs that have yet to be discovered, as was the case with Vivaldi. His first collection of violin concertos were published in Amsterdam in 1729, followed by his sonatas four years later. In addition to his violin works, Tartini left a few compositions for viola da gamba, cello and flute. 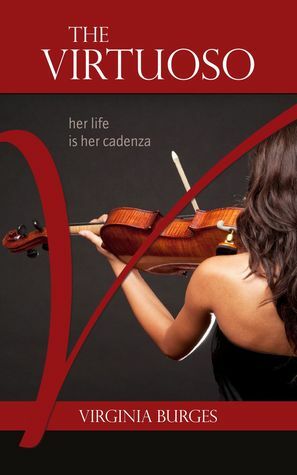 Written in the key of G minor, the sonata is an example of one of the best 18th century violin classics. It begins with a beautiful, melancholy and expressive melody, the ‘Largo Affettuso’. I wonder if this is meant to represent Satan’s sadness at being kicked out of heaven? It is both poetic and soulful, with a mournful lyricism that immediately creates an emotional pathos. It lulls you into a poignant state before the song like tune moves into the ‘Allegro’ where the tempo and temperament change dramatically. 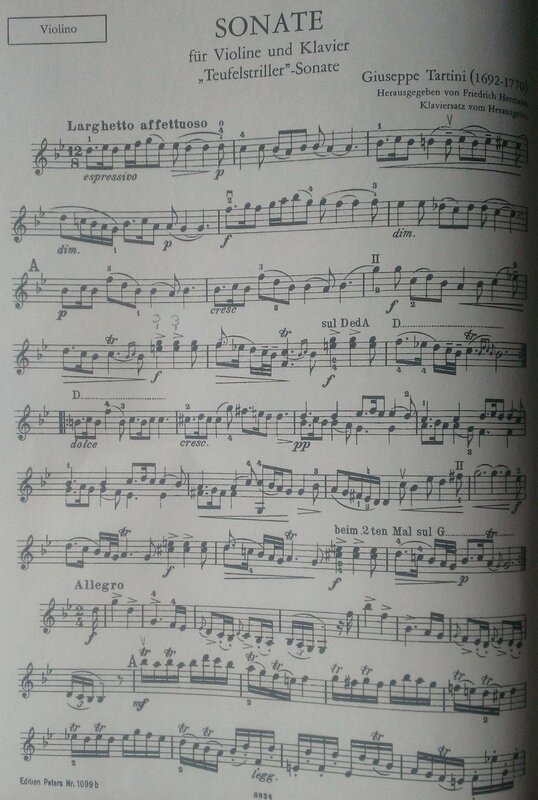 The Allegro assai, where Tartini uses a continuous background of double-stopping trills. Looks like a lifetime of practice for me! His words perfectly complement his amazing performance of The Devil’s Trill in a feat of such jaw dropping virtuosity that I haven’t found a performance to top this one! The musical idea of the sonata had probably matured in Tartini’s mind long before the dream further ‘elucidated’ his ideas. He’d already worked hard on the trill, conceiving it not only as a technical device but as a means of musical expression. Although the dream story has an air of the mystical about it the cause of the dream was undoubtedly Tartini’s creative drive at work. He later devoted much attention to the trill in his Treatise on Ornaments. The Tartini scholars, Paul Brainard, Andreas Moser and Antonio Capri assert that the artistic content of the sonata, its depth, harmony, originality and technique are more in line with his mature final period, and suggest it wasn’t written before 1730/1740. However, Johann Quantz heard Tartini perform in Prague in 1723 and made a point of Tartini’s skill in playing double trills. These comments prompted Italian violinist Michelango Abbado, (father of conductor Claudio), to surmise that the sonata had already been written by 1723. Sadly, the original autograph of the Devil’s Trill sonata no longer exists, and as Tartini was prone not to date his works it may not have shed light on the debate in any case. It’s also logical to assume that if it was composed in Tartini’s youth that over time he would have practiced and perfected the sonata, as well as teaching it to his students. 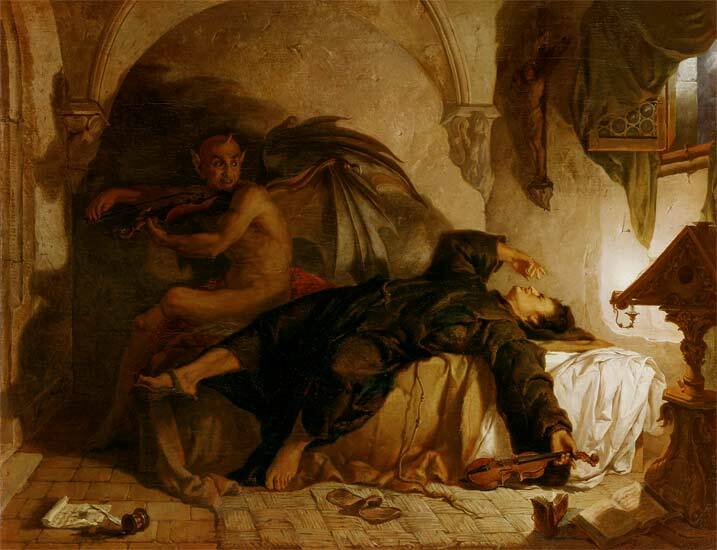 It’s also understandable that Tartini himself didn’t want to shout from the rooftops that he was dreaming of the Devil whilst a violin soloist and director of music at the Chapel of St. Anthony! Here are some other wonderful performances and interpretations of the brilliant Opus 1 No. 4 composition. Jean Baptiste Cartier first published The Devil’s Trill sonata in his method (L’art du Violon ou Collection Choisie dans les sonatas des Ecoles Italienne, Francaise et Allemande), that came out in Paris in 1798 followed up by a second edition in 1801. The sonata then had a dormant period of 54 years and reappeared in 1855 with a piano accompaniment by Henri Vieuxtemps and Robert Volkmann. 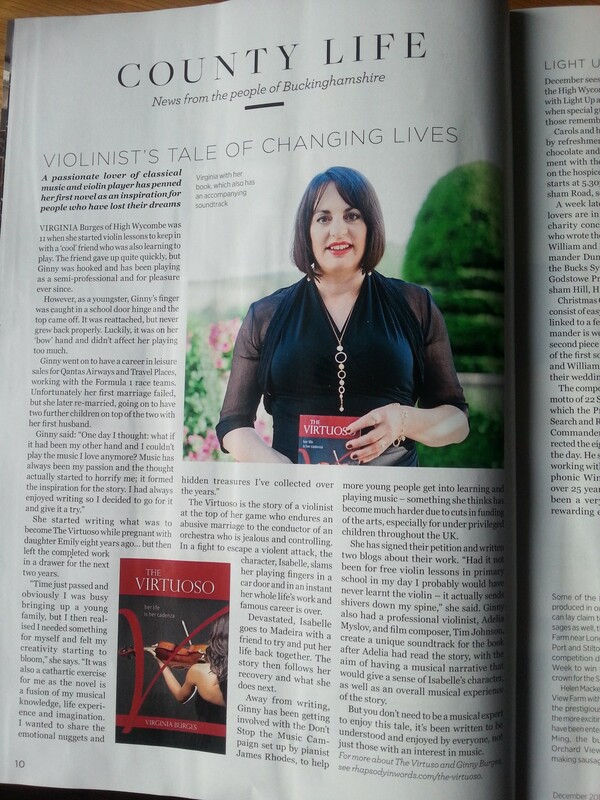 That edition also revived interest in Tartini’s works in general not just The Devil’s Trill. At the turn of the 19/20th century a large number of arrangements of the sonata were produced by Joseph Joachim, Fritz Kreisler, Leopold Auer and Georgi Doulov which further spread appreciation and performance of this brilliant sonata.